GENI GIS Maps, GIS Articles, GIS Papers - GIS Maps - GIS Articles - GIS Papers - GIS Library - GIS Layer Index - Global Energy Network Institute - GENI is the highest priority objective of the World Game (R. Buckminster Fuller). 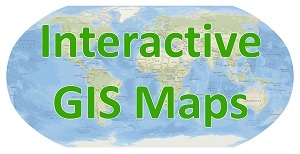 GENI's global GIS research, news articles, and maps. The GENI Initiative Visualization (171 MB .pdf). By: Jens Klawitter, Paul-Michael Dekker, Peter Meisen, and John Graham, presented to the IEEE Power Engineering Society in July, 2008.